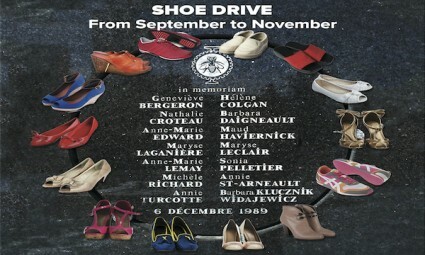 The first Shoe Memorial was held in Vancouver in 2003, to commemorate the 14 women students who were murdered at the Montreal Polytechnique on December 6, 1989, as well as the thousands of other women in Canada who have been victims of misogynistic violence and murder. Since then, activists in other cities have joined the Shoe Memorial effort. All shoes and boots are donated to women’s emergency shelters; some of which service women and children who have escaped violent households, often with just the clothes on their backs. This year, UFCW Local 401 will participate in Shoe Memorials to be held in 3 cities across Alberta: Red Deer, Lethbridge, and Medicine Hat! You are invited to participate in your union’s shoe drive by donating any new or gently worn shoes for women and children. 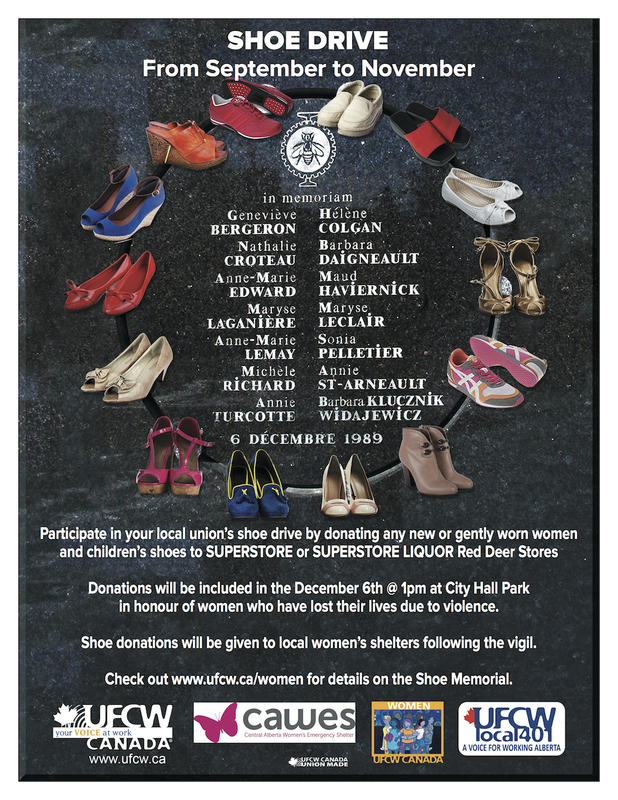 The shoes will be included in the December 6th Memorial in honour of women who have lost their lives due to violence. 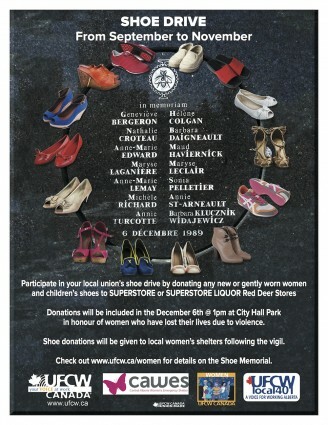 Shoe donations will be given to local women’s shelters following the vigil. Click here for the Lethbridge event poster. Click here for the Medicine Hat event poster.